HONOLULU -- Residents of the Commonwealth of the Northern Mariana Islands were bracing for months without electricity or running water in the aftermath of the strongest storm to hit any part of the U.S. this year. Super Typhoon Yutu crossed over the U.S. territory early Thursday local time. In a tweet Thursday evening Sablan said that the typhoon warning for Saipan and Tinian was canceled. 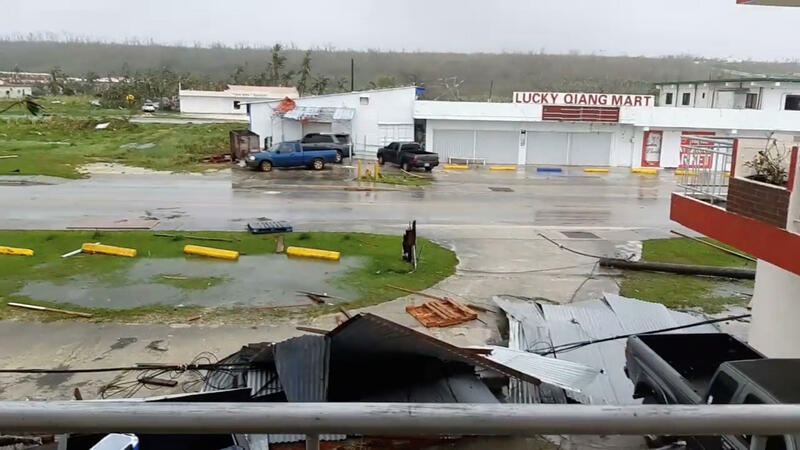 The electricity on Saipan, the largest island in the commonwealth about 3,800 miles west of Hawaii, went out at 4 p.m. Wednesday, resident Glen Hunter said. "At its peak, it felt like many trains running constant," Hunter wrote in a Facebook message to The Associated Press. Hunter lives on Saipan, the largest island in the commonwealth, which is a U.S. territory about 3,800 miles west of Hawaii. Because he's in a solid hotel, it wasn't as scary as living through Hurricane Iniki in 1992, which left the Hawaiian island of Kauai badly damaged, he said.